Timeless design for any kitchen. For over 50 years Russell Hobbs has been at the heart of the Great Aussie Cuppa and remains one of the leading brands around the world. 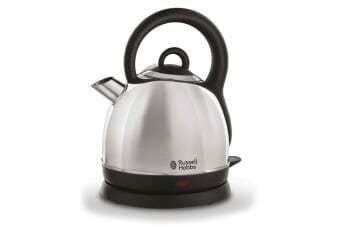 The Russell Hobbs Eden Kettle offers classic and elegant design. Perfect for any benchtop, its 1.8L capacity and stainless steel finish is perfectly combined with a 360deg base for left and right handed use. Featuring automatic cut-off boil-dry technology, this kettle also includes a removable, washable filter for clean water every time.